I enjoyed this novella. Although it’s written using short, snappy sentences the flow works incredibly well and substantiates the distracted, grief-stricken pain of the main character, Michael. Lucifer is using Michael’s anguish to drive his own agenda which is to capture souls from some of the world’s most despicable criminals. Michael is so desperate to help his fallen family to find the peace they deserve that he carries out a host of murders in cold blood. It was interesting to see how Michael’s character begins to enjoy these acts, almost justifying their death because of the evil acts they have carried out. I can’t talk about the ending without giving away any spoilers, so I’ll simply say that the novella is neatly rounded off but leaves enough of a teaser to make you want more. At just 86 pages I easily devoured The Devil’s Lieutenant in one sitting and look forward to reading more from this author. 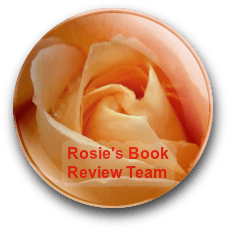 I received a copy of The Devil’s Lieutenant from the author via Rosie Amber’s Book Review Team in exchange for an honest review. In the blink of an eye, Michael loses his family. As his life spirals out of control with grief, he is presented with the possibility that the souls of his family might be trapped in Hell. Thus begins an unimaginable and nightmarish journey to rescue his family from the depths of Hell, with the Devil as the puppet master pulling his strings.